Ellen Juanita Hall, age 87 of Carrollton, Georgia, passed away on Saturday, November 10, 2018. She was born on September 28, 1931 in Atlanta, Georgia, the daughter of the late Lewis and Lois Henry of Atlanta, Georgia. She was a retired banker and had also worked for eighteen years with Conyers Lumber Company. 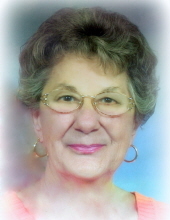 She was a faithful member of Roopville Road Baptist Church. In addition to her parents, she was preceded in death by her husband, Wesley Hall of Cairo, Georgia. Mrs. Hall was an only child and had no children. Survivors include her two aunts, Nell Walden of Carrollton, Georgia and Martha Hyde of Conyers, Georgia. Funeral services will be conducted Tuesday, November 13, 2018 at 12:00 Noon from Roopville Road Baptist Church. Mrs. Hall will be placed in the church at 11:00 AM. Dr. Stephen Peeples will officiate and Bryant Turner will render the music. In keeping with her wishes, the body will be cremated following the service. In lieu of flowers, memorial contributions may be made to the Roopville Road Baptist Church, 835 US Hwy. 27, Roopville, Georgia, 30170. Messages of condolence may be sent to the family at www.martin-hightower.com. Martin & Hightower Heritage Chapel has charge of the arrangements. To send flowers or a remembrance gift to the family of Ellen Juanita Hall, please visit our Tribute Store. In keeping with her wishes, cremation will follow the service. "Email Address" would like to share the life celebration of Ellen Juanita Hall. Click on the "link" to go to share a favorite memory or leave a condolence message for the family.